Five frame nuc with laying Noble Apiaries queen. One frame of honey, two frames of brood, two new frames. 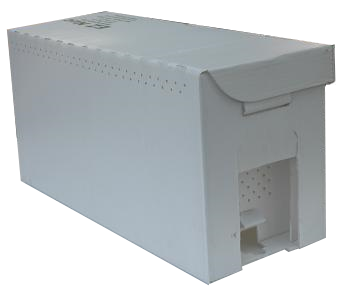 Available for pick up only Dixon at 5420 Dixon Ave. from 7 am to 11 am Five frames come in an EZ Nuc box (11" x 8.5" x 23"). Please select a prefered pick up date. This is a pick up date for purchased five frame nucs.. Pick up is from 7am to 11 am in Dixon CA. Sale Price: $165.00 You Save: $10.00 (5.71%)! Sale Price: $160.00 You Save: $15.00 (8.57%)! Sale Price: $150.00 You Save: $25.00 (14.29%)! Sale Price: $145.00 You Save: $30.00 (17.14%)! Sale Price: $140.00 You Save: $35.00 (20%)! We are currently out of Russian five frame nucs. Please check in again later to see if we've added more to our inventory. This is a Nuc with a pure Russian Queen from Steve Coy of the Russian Honey Bee Breeders Association. Five frame nuc with laying queen. One frame of honey, two frames of brood, two new frames. Available for pick up only. Five frames come in an EZ Nuc box (11" x 8.5" x 23"). Sale Price: $180.00 You Save: $10.00 (5.26%)! Sale Price: $175.00 You Save: $15.00 (7.89%)!